When contemplating home decor or improvement ideas, the idea of flooring can provide immense variety and choice. It is frequently the aim to get a classy and unique look while achieving a finish that is long-lasting and durable in nature. Look no further. Limestone floor tiles offer the perfect solution for commercial properties as well as for homes. Limestone is a natural, flexible stone providing great strength. It can deal with variations in temperature and will also provide elegance and beauty to any home decor. Their quaint and exclusive feel is accompanied with natural anti-bacterial properties thus provide an extra benefit for residential use in contrasted with other flooring materials. Limestone flooring is available in a variety of textures ranged from highly sharpened to polished variations. Beside this they are provided in several colors and shapes, allowing anyone imagining of this stone style to make their choice exclusive and distinctive; an extremely popular choice, providing an excellent visual effect. Cleaning and maintaining limestone tiles are also not tricky but to make sure your tiles retain their appealing look, an understanding of this natural stone is necessary. Limestone does scratch very easily, so the perfect suggestion is to vacuum or to sweep them with a soft broom regularly. This regular task will take only a few minutes but will add to the durability and will prevent daily dirt and dust scratching your floor tiles. Clean all the stains as soon as possible and should you select to mop this stone, make sure to use as little water as possible as limestone tiles are porous in nature, and any spillages or penetration of water can result in discoloration. There are cleaning solutions available specifically for limestone floors as some acidic substances and detergents can leave a residue. 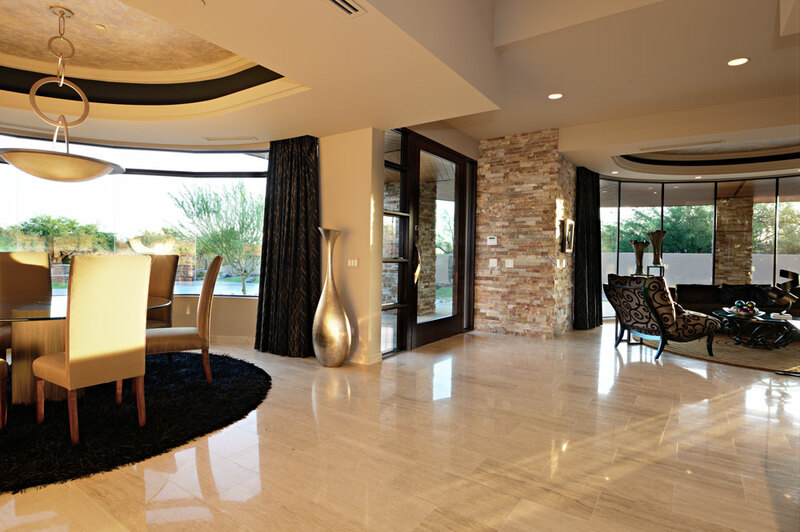 Get the best from your natural stone tiles through requesting the help of a professional limestone stone restoration specialist and floor cleaners. These highly professional interpersonal will provide you with excellent results to ensure your commercial or residential floors and furnishings replicate your standards. This service is cost-effective and necessary and will make sure your polished floors are long-lasting; the benefits are immense as they will be able to provide modern, tailor-made products and deep cleaning equipment. Color enhancers and protector impregnators are available and will restore the natural elegance. Limestone stone restoration professionals will benefit from years of experience with specific stains and will be on hand to provide very useful detail regarding cleaning techniques and maintenance programs. Look for professional companies with certifications, testimonials and a website with a comprehensive stone restoration, cleaning and sealing provision. Limestone floor tiles provide a dignified feeling and are versatile and multi-purpose in its use; involving flooring, embellishments and countertops and have been used in historical landmarks and monuments. It gives proof of its classic appearance and timeless feel. Limestone floors will considerably enhance any dining room, kitchen, bedroom, porch or any other area of the home. A gleaming, exquisite and glamorous home decor choice.